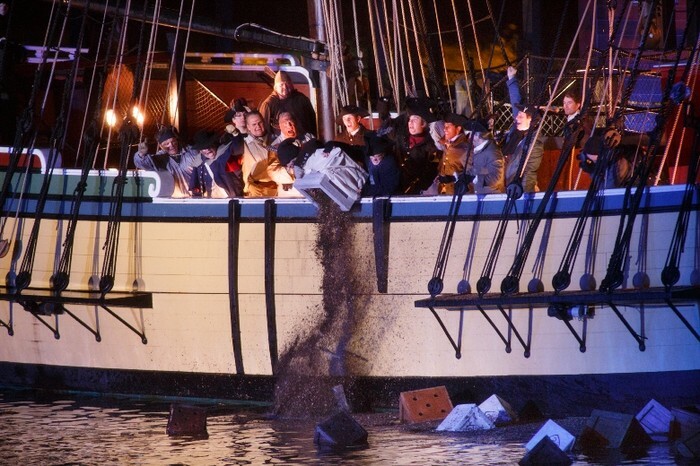 The Boston Tea Party happened in December 16,1773 . 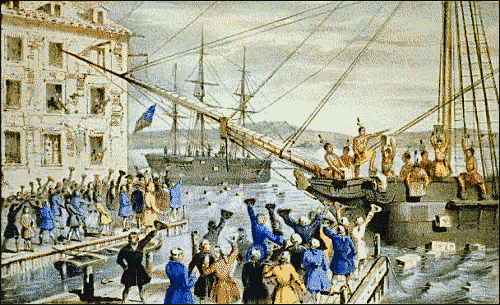 The Parliament repealed most of the Townshend Acts on the day of the Boston Massacre. But the british left the principle that Parliament had a right to tax the colonies . A major London tea supplier called the East India company lost a lot of business when Americans stopped purchasing it's tea . By 1773 the company had 17 million pounds (7.7 million kilograms ) of unsold tea in it's warehouse . In 1771 , a group of colonist project thirteen years of increasing British oppression, by attacking merchant ships in Boston Harbor . In retaliation , the British close the port, and inflict even harsher penalties . We are the Sons of Liberty !!! We were created by the American Colonies We were formed to protect the rights of the Colonist and to fight taxation of the British taxation .